Being a new graduate nurse is not easy. Heck, being “new” in any nursing role… even if you have years of nursing experience… can be tough. And received a LOT of great feedback and responses. So, let’s go through each of them. I will break this down into a few specific categories. And as you are reading through, be thinking about the best advice you would give to a new graduate nurse. 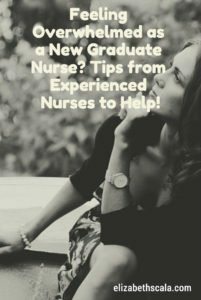 Tips for New Graduate Nurses from Experienced Nursing Colleagues! Take your meal breaks!!!! Preferably away from the unit. Succeeding as a new nurse graduate is all about self-care. Now, you may not SEE other more experienced nurses do this. Trust me. They are paying the price in the end. But don’t get off to that bad habit fresh out of the gate. Put yourself and your own well-being first. 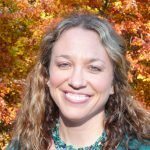 When you practice the balance of self-care, you will get a heck of a lot more out of your nursing career. Ask lots of questions. No one expects you to know everything. Learn from your mistakes. Strive to be better tomorrow. You will not know everything, you are learning everyday until the day you die. Create an accountability partner or group. Find someone who is a positive nurse role model. Having someone to reach out to for guidance, encouragement and advice during a time when the physical and mental demands of being a nurse is overwhelming makes a huge difference! Nursing does not happen in a vacuum. Even if you have the most autonomous job, you will never work alone. Healthcare is a people-oriented profession. Nurses are people working with other people, helping people. As a nurse, you need to be able to work on and with a team. Additionally, you will thrive when you find and sustain that supportive network. Reach out for a mentor. Get involved in groups outside of the nursing profession. Network on and offline. Do your best to ask for and receive help! Pace yourself, read the charts besides getting report and ask questions. How do you eat an elephant? One bite at a time. Structure your work in small bites so it does not appear overwhelming. Notice your thinking. You don’t need to believe everything you think or what others think. Know that new thought is always just around the corner. Clarity of mind, intuition, and insight are more available when your mind is not already full. Competence equals confidence. Never stop learning. 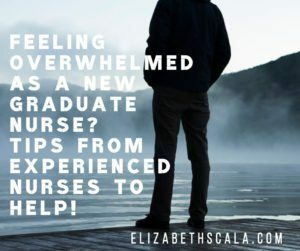 As a new graduate nurse you may be thinking, “I am FULL with learning.” Being that you likely recently completed a nursing degree, you may hope that the classroom part of your nursing career is over. Nursing is a lifelong learning experience. Guests on the Your Next Shift podcast tell me week after week how they invest in both their personal and professional development. You will learn as a nurse until the day you die. And what a gift! To continue to grow and transform… that’s what makes for a successful nursing career. Don’t be too hard on yourself. Take care of you! Find a job that fits your personal mission. The most important lesson: follow your gut instincts always! Your gut comes from a higher power and is always right! Find one nurse YOU can mentor or help. Keeps the love for nursing alive! Don’t put yourself down; you are still learning. Trust your gut. Your nursing gut with develop over time but you have your own gut compass. It takes time to feel like a “nurse”. A year. Two years. Everybody is different. As you continue through your nursing career, listen to yourself. Sure, you need to watch the monitors and read the lab values, but your nursing judgement and critical thinking skills know best. Stay true to who you are as a person. 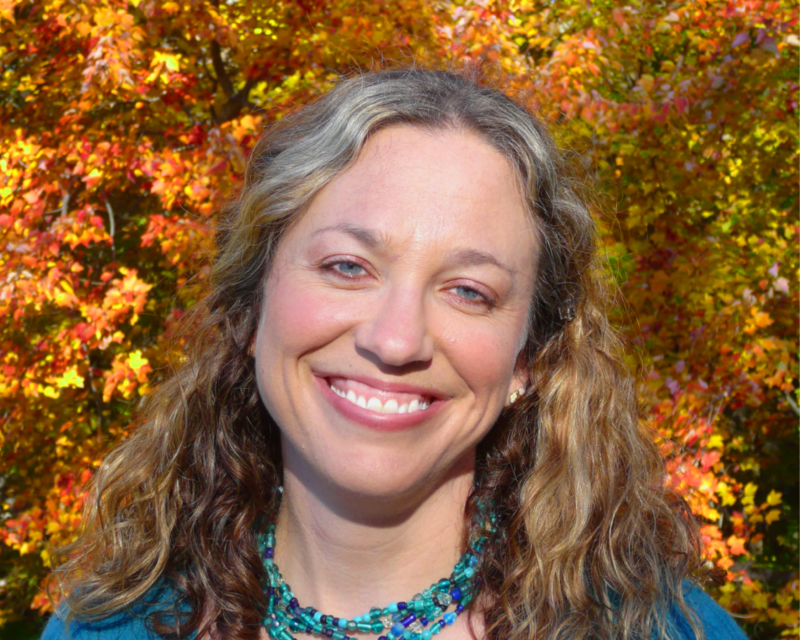 This will help you avoid nurse burnout. Be that unique individual that you are and practice nursing from within. Let’s hear from you! What advice would you give to new graduate nurses? Share your comments below and thank you for helping nurses across the country succeed in this wonderful profession of nursing practice! Such wonderful, wise and thoughtful advice from loving Nurses. Really these can be applied to any profession, or simply being new at anything. So glad that you enjoyed the post!! Thanks for reading and sharing.